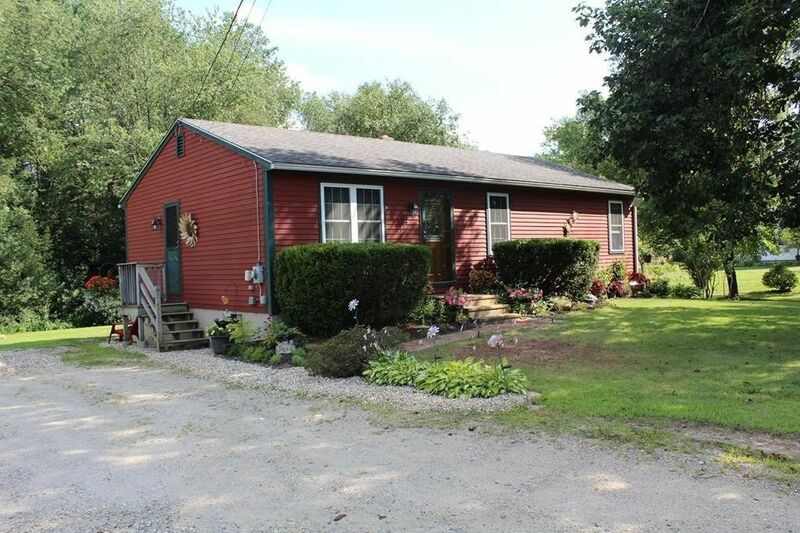 Well kept 3 bedroom Ranch near the Barre/Hardwick line is perfect for someone looking for a first home or downsizing to an affordable, easy to maintain/heat home. Updates include replacement windows, new exterior fiberglass doors with storms, recessed lighting, bathroom fixtures and tile floor. Bright and well lit kitchen has adjoining dining area with built-in benches/window seats that have storage below. A professionally installed pellet stove in the basement supplements the oil heating system and provides a warm space in the winter for a work area, play room or future family room. Nicely set on an over 3/4 acre lot with spacious yard which includes lawn, a wood deck in back, circular paver patio area for firepit/chimenea and a path to a private clearing in the back woods. Attractive 10' x 16' storage shed is a great space for the lawn/yard equipment and winter storage for yard furniture. Easy commute towards the Worcester, Route 2 or Springfield areas.